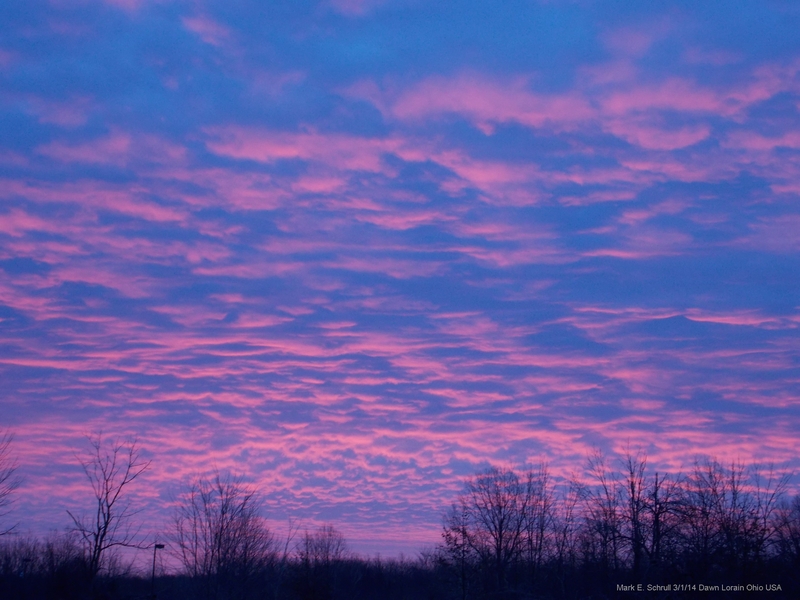 3/9/14 Lorain, Ohio – There was a beautiful sunrise this morning across the county. 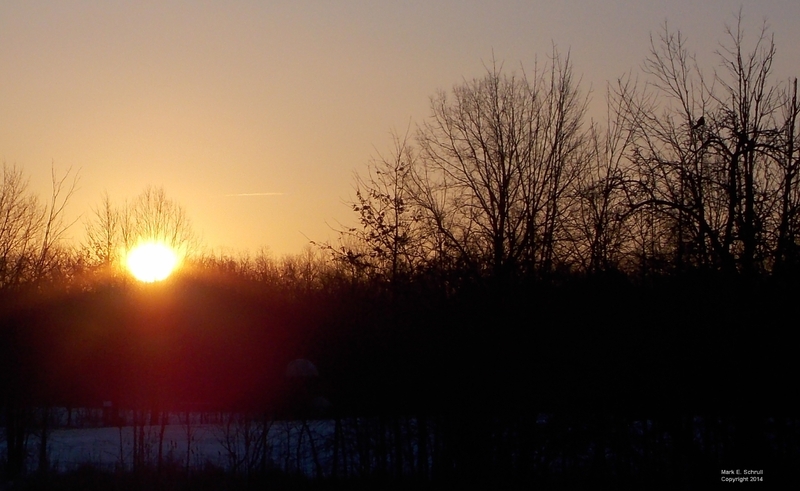 Today marks the start of daylight savings time. It also marks the 2 year anniversary of LifeInLorain. Spring is coming, and despite the cold temperatures and snow still on the ground, the forest is waking up. 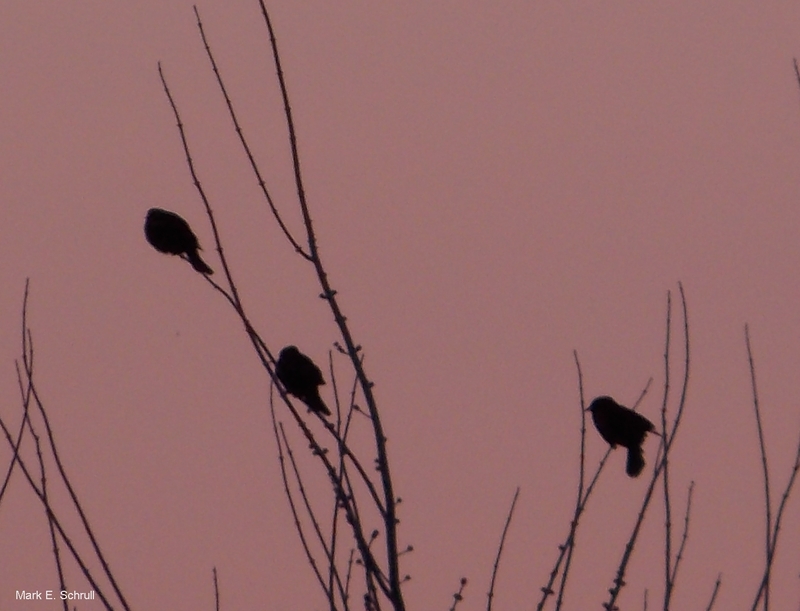 Birds perched on tree tops to witness the golden globe rise. 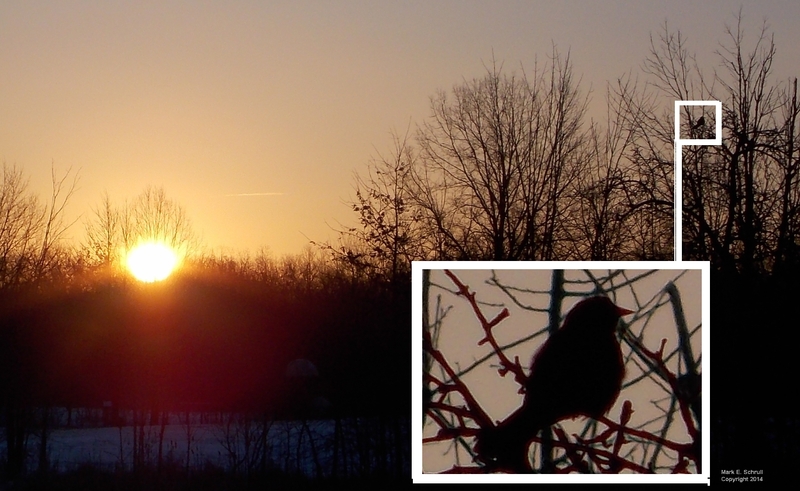 There are more than there were a week ago and the sound of the early birds singing and calling for their mates is growing louder with each passing morning. 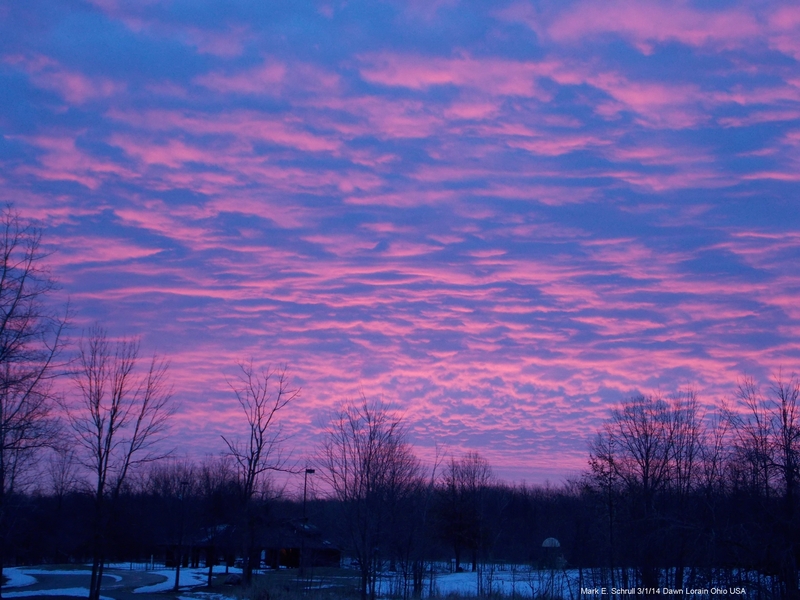 3/1/14 Lorain, Ohio – The dawn was spectacular this morning. The sun didn’t burst through at any point but it managed to light up the horizon just before it passed behind the clouds. 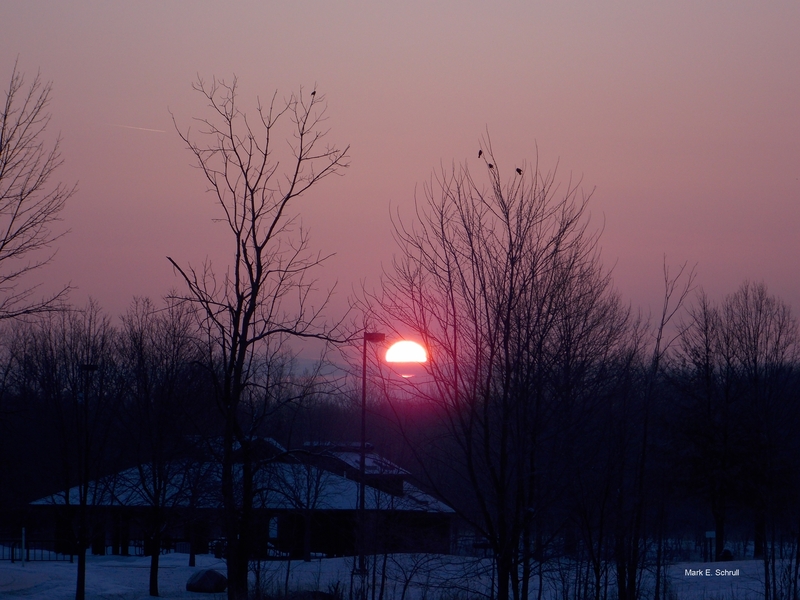 2/28/14 Lorain, Ohio – It was cold this morning at sunrise with temperatures below zero. 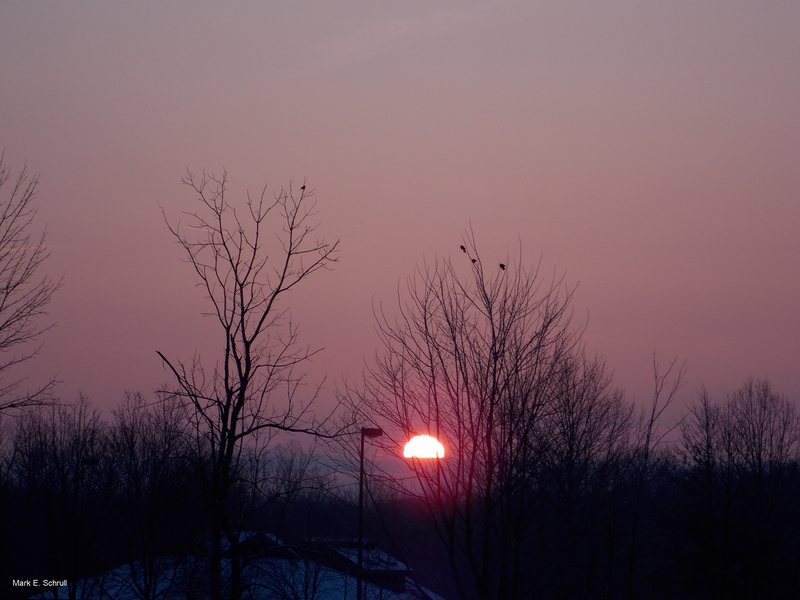 But as the sun ascended, birds paused in tree tops to pay homage. 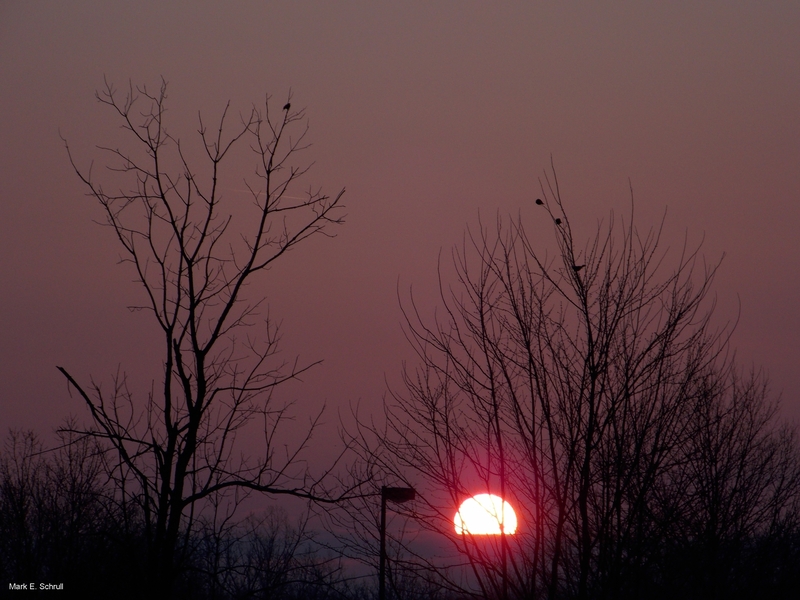 They worshiped the sun perched upon natural altars which glowed red with the fire of life. The photographs below have not been edited or altered in any manner. The colors are exactly as they downloaded off the camera. I only cropped and adjusted for size. 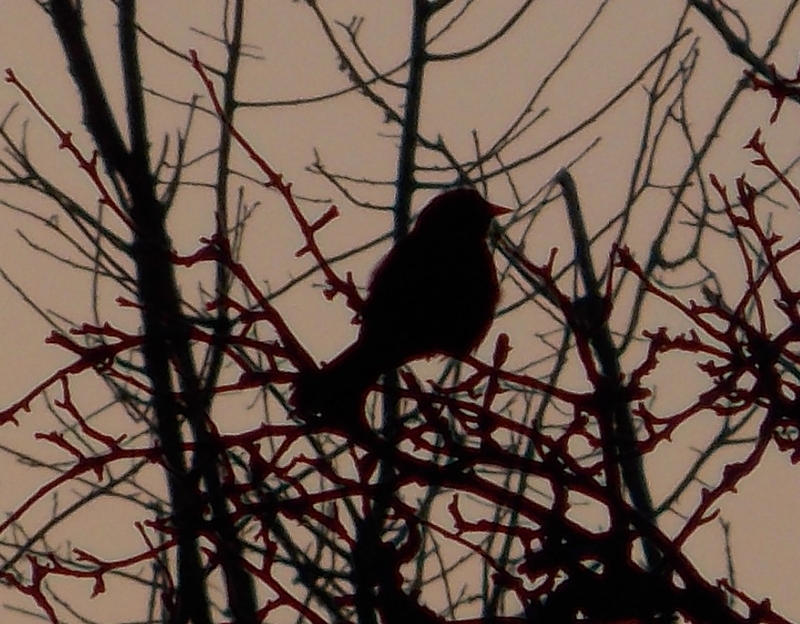 The tree branches really are glowing red. 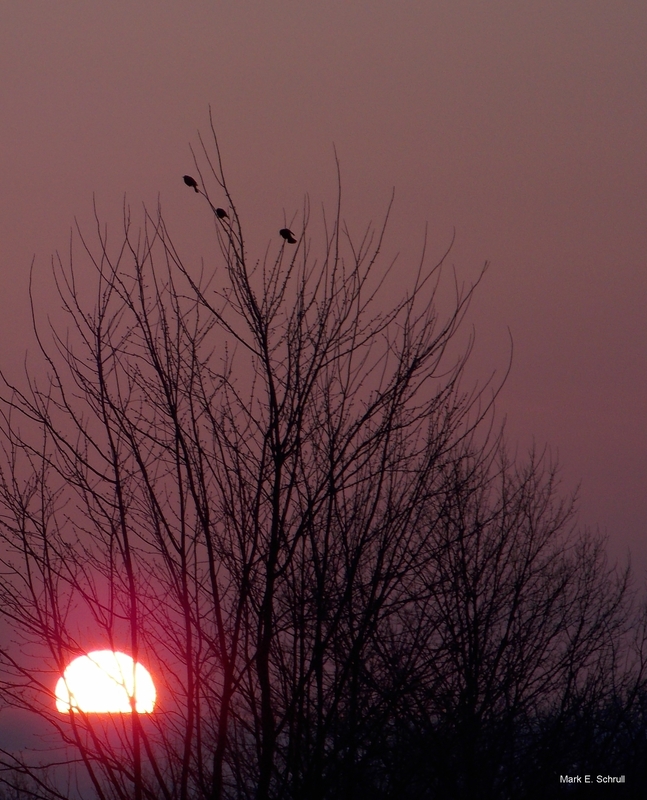 The Lady of the Lake – A poem written by Mark E. Schrull is read to views of the Lake Erie shoreline. Other blogs and web pages we follow.